My pilgrimage to Switzerland’s iconic Burgenstock Resort was an effortless trip which would have me traveling by car, plane, train, ferry and funicular. The adventure began the moment I slammed the car door shut at the Toronto airport. I was then whisked over the Atlantic on Swiss Air, landing in Zurich just as the sun peaked over the alp-adorned skyline. After skipping down an escalator I found myself on a 1st class train, zipping past picturesque dairy farms which sat perched over a fog covered lake. 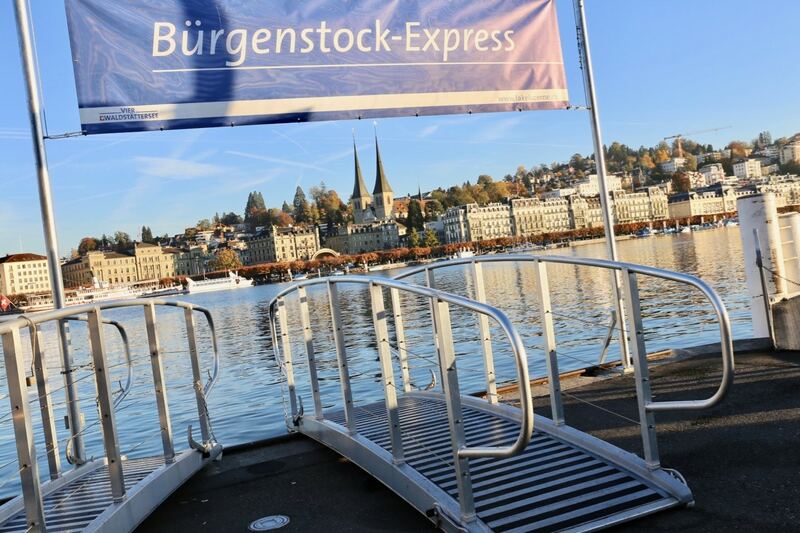 Once the train pulled into Lucerne I hopped across the street and boarded the Burgenstock Express, sailing across the city’s crystal clear lake as elegant white swans swooned along the shore. After the forty minute cruise I stood silently in awe as a funicular soared up a steep mountain, offering excited guests a truly epic view. Spilling out onto a cobblestone terrace I’m greeted by a choir of smiling staff who offer refreshing oshibori towels to new arrivals. Moments later I find myself swooning with a smug mug inside a luxurious suite, admiring a magical postcard-perfect view. The pioneers of the Burgenstock Resort, Franz Josef Bucher and Josef Durrer, made history in 1871 when they bought the Alp Tritt on the ridge of the Burgenberg, perched 500 metres above Lake Lucerne. 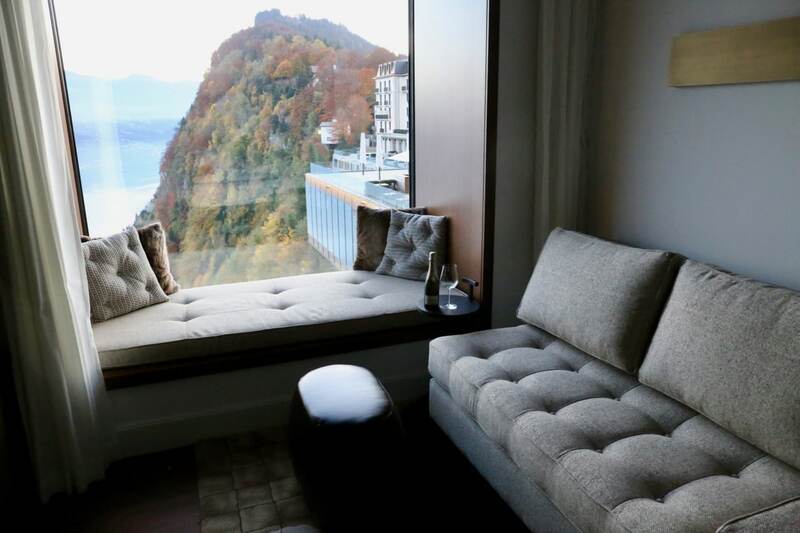 They gave the hotel village the memorable name of Burgenstock, creating a paradise that attracted the world’s elite, based on the thoughtful yet forward-looking style of Fritz Fey, which was initiated during the 1950s and 60s. Illustrious guests from business, politics, high-society and show business felt at home here: the first Chancellor of the Federal Republic of Germany, Konrad Adenauer, the Indian Prime Minister Indira Gandhi, US President Jimmy Carter, and James Bond alias Sean Connery. Burgenstock’s most notable beauties were film stars: Sophia Loren who lived at the resort with her husband Carlo Ponti, and Audrey Hepburn who in 1954 married Mel Ferrer in the picturesque palace. 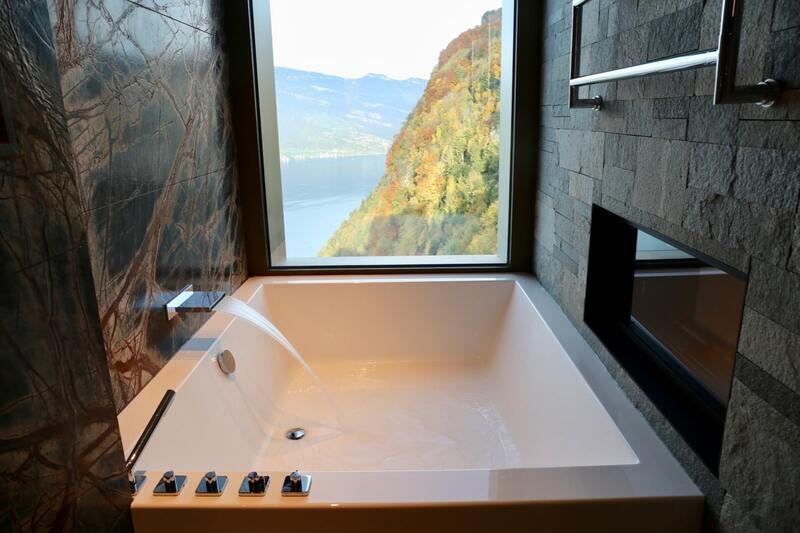 Since 2008, the Burgenstock Resort has been owned by investors from Qatar who have spent $700 million on a lavish renovation, breathing new life into one of Europe’s most iconic luxury resorts. 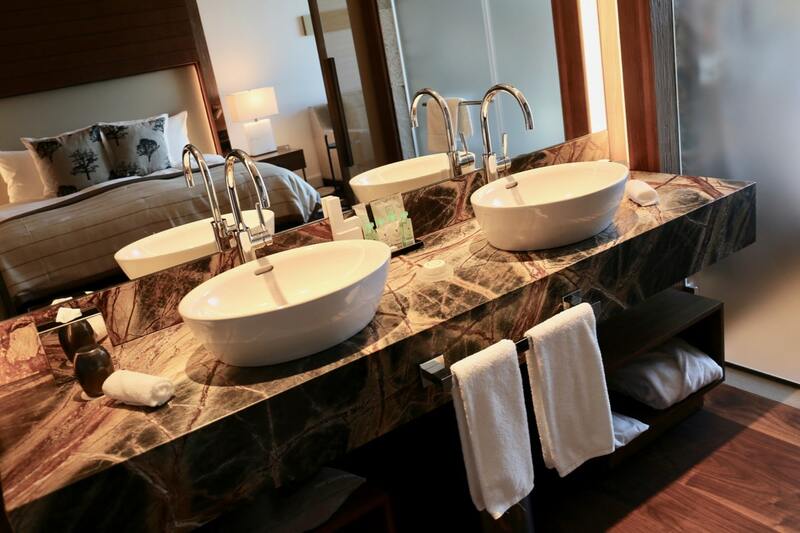 The iconic alpine destination offers guests outdoor facilities at the centre of the resort, which extends over more than one kilometre and includes a golf course, private residences, 12 restaurants and bars, four hotels, luxury shopping, tennis courts, fitness studio, and world-class spa. The iconic Palace Hotel offers luxury travellers the crème de la crème in honeymoon-worthy romantic lodgings. Beginning in 2008, the 19th-century landmark property underwent a complete refurbishment while preserving its significant heritage. The original marble pillars, embellishments, fireplaces and paintings can be admired in the Lobby Lounge and the Foyer Salle Palace, while the Ritz Coffier Restaurant features the original 1903-stove and copper pans. Interior designers MKV London have blended significant historic features with elegant materials and furniture featuring hardwood oak parquet flooring and custom-made hand-blown glass chandlers. Indulge in a luxurious sleepover in one of the Palace Hotel’s 108 modern rooms and spacious suites and you’ll find plush beds, Nespresso machine, beer-stocked complimentary mini bar, Bulgari beauty amenities, gas fireplace, massive bath with a jaw-dropping view, and cozy nook adorned with faux-fur pillows. If you’re looking to lick jet lag and treat yourself to a slice of R&R, spend a day restoring your spirit at the Burgenstock Alpine Spa. The otherworldly wellness centre covers an area of 10,000 square metres and includes 13 treatment rooms and 3 private spa rooms. 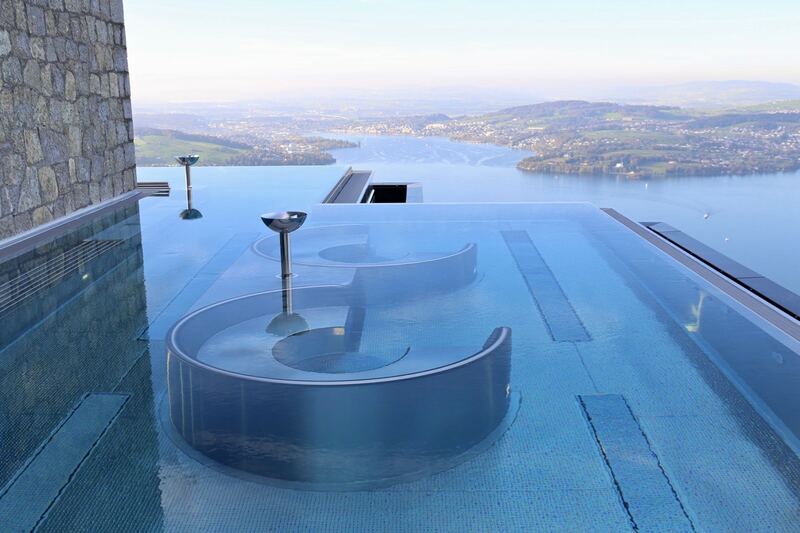 The main attraction is the indoor pool and two outdoor pools, one which is heated year round to a temperature of 36°C and boasts an infinity-edge enhancing the breathtaking view over Lake Lucerne. Burgenstock’s biggest draw is it’s colourful collection of culinary concepts. 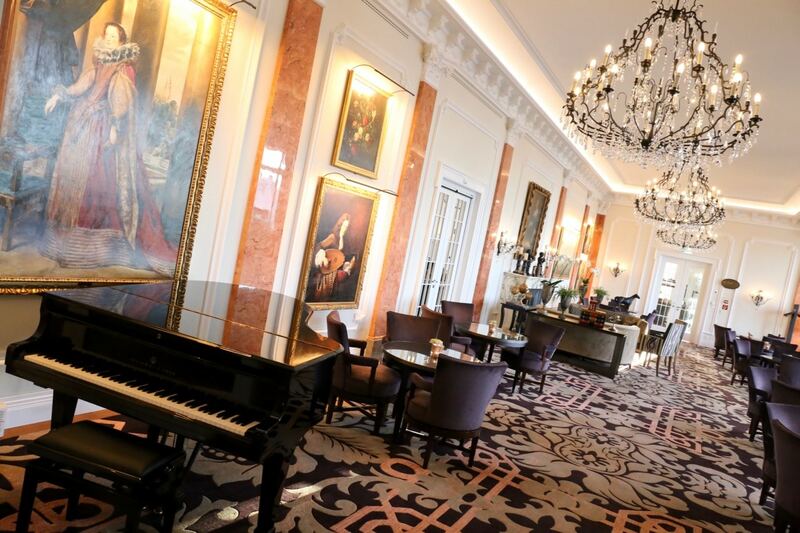 Each morning hotel guests stroll past a grand piano and portraits of regal European royals to arrive at Ritzcoffier Restaurant. The name pays homage to the “King of the Hoteliers & Hotelier of the Kings” César Ritz and haute-cuisine legend Georges August Escoffier. 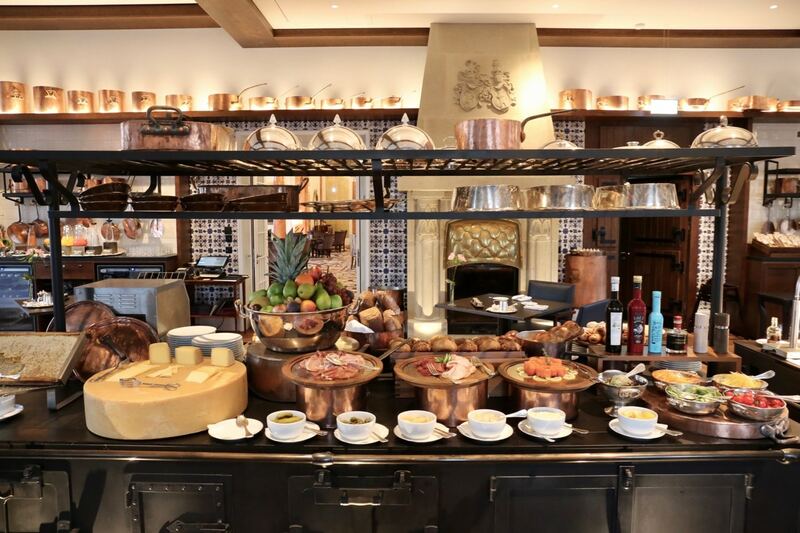 Each morning the breakfast spread includes freshly pressed juices, pretty pastries, hot station (waffles, sausage, bacon), cold station (cheese, honeycomb, charcuterie, cured salmon, salad, yogurt, cereal), as well as an a la carte menu devoted to the egg. For those looking to indulge in a fine dining romance you’ll find fancy French dishes served here each evening thanks to Chef Marc Haeberlin (3-star Michelin Auberge de l’Ill) and Chef de Cuisine Bertrand Charles. 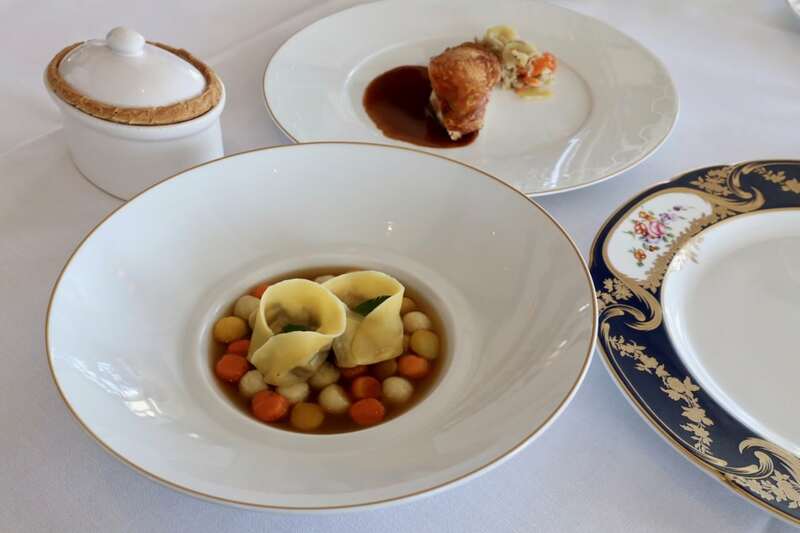 Be sure to order the signature Ribelmais Poularde, a playful take on chicken served in two courses: tender Pot Au Feu Tortellini and Baked Supreme Smoked on Burgenstock Pine Cone and Hay. 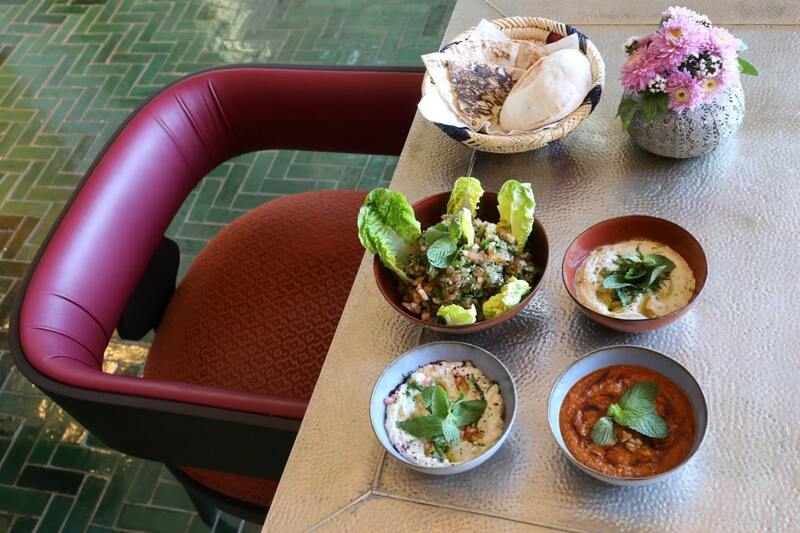 A hat tip to Burgenstock’s new Middle Eastern owners, Sharq Oriental offers classic Arabian eats to the discerning globetrotter. 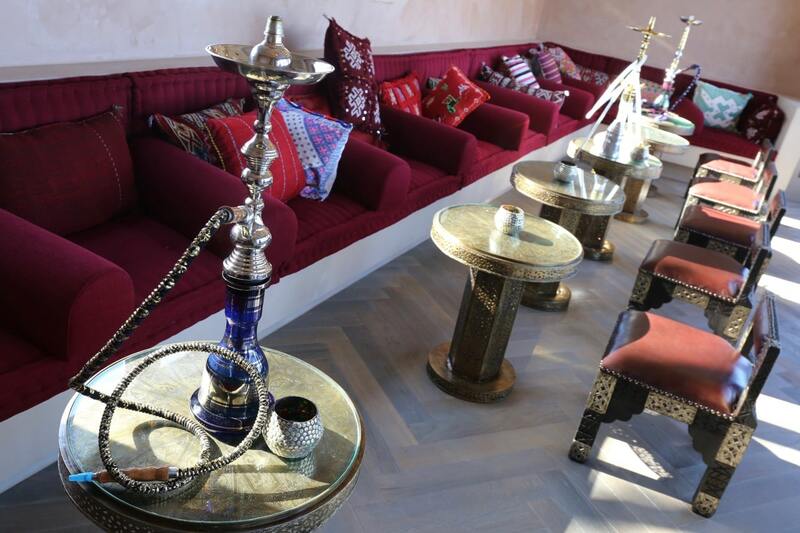 Sharq’s chic dining room sits perched over Lake Lucerne and includes a sun-soaked terrace and intimate hookah lounge. The menu features classic meze and grill dishes which perfume the room and create a truly exotic ambiance. Highlights include eggplant mousse Moutabal, pomegranate sweetened Mouhamara, crunchy Falafel, saffron infused Kabab’s, date adorned couscous, and a barberry muddled Zereshk. The wine list features a commendable selection of Lebanese wines worth celebrating with a swirl and sip. The out-of-this-world restaurant design award goes to Spices Kitchen. 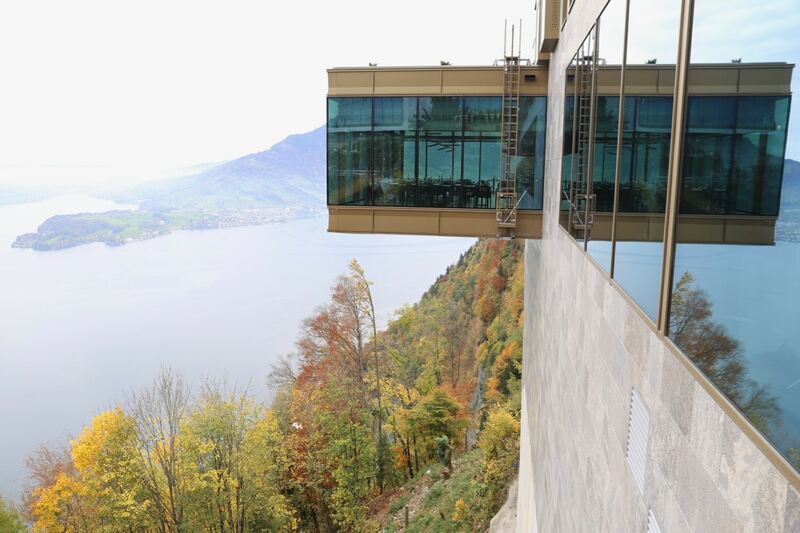 Its dining room is an architectural marvel, jutting out of the Palace Hotel’s slick facade, leaving hungry food fans hovering over a dramatic cliff while enjoying an unforgettable panorama of Lake Lucerne. 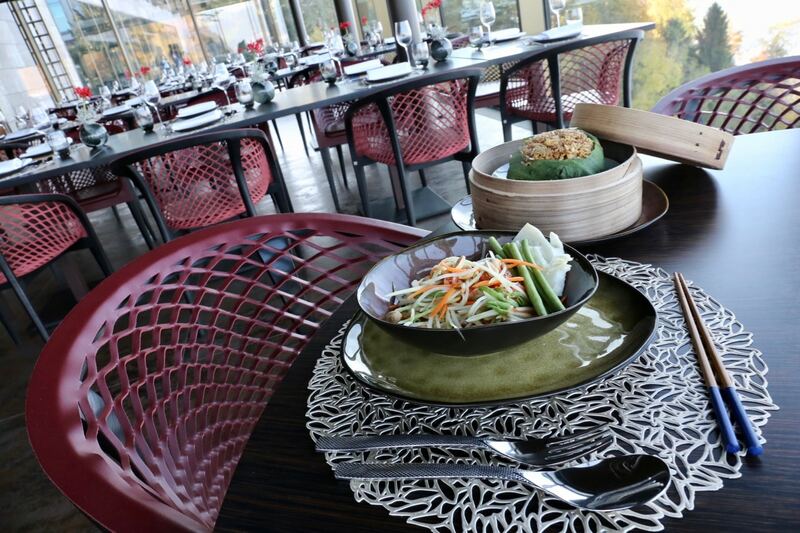 The restaurant’s open kitchen offers a broad selection of Asian delicacies which are prepared by talented chefs who mastered each cuisine on home turf. Travel with your tongue via Indian tandoori and tikka, Chinese dim sum and fried rice, artfully presented Japanese sushi, and spicy Thai curry. Looking to enjoy an authentic taste of place where local Swiss specialties are served in a cozy Swiss Chalet? Burgenstock’s hat tip to alpine fare is offered up at the historic Restaurant Taverne 1879. The intimate interior is decorated with authentic Swiss vintage while tables are romantically lit by the flicker of white candle sticks. 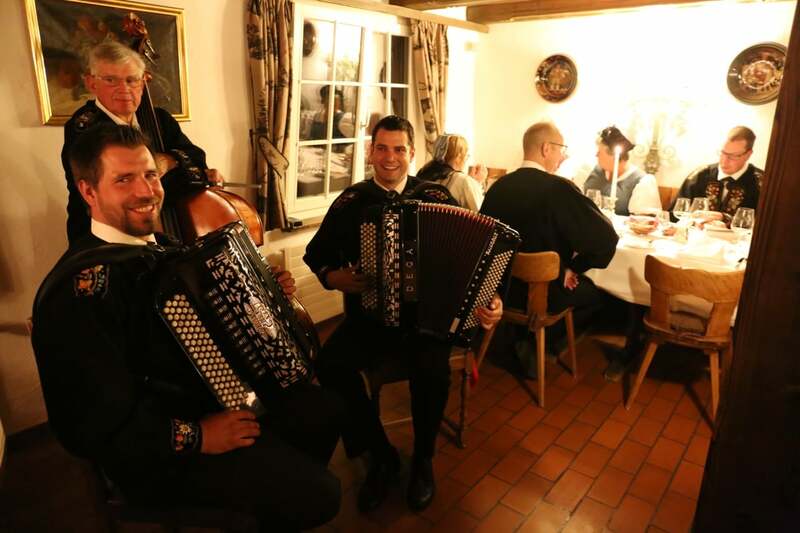 On special occasions guests are greeted by a choir of alphorn’s while over the dinner hour a lively polka band boasts a foot tapping soundtrack. Highlights from the Taverne 1879 kitchen include creamy pumpkin soup, crunchy rosti, and Zurcher Geschnetzeltes, a Zurich staple featuring tender slices of veal cooked in a creamy mushroom sauce. The heart of the Palace Hotel can be found at Lake View Lounge & Bar, an open concept social space located just steps away from the hotel’s front desk and concierge. 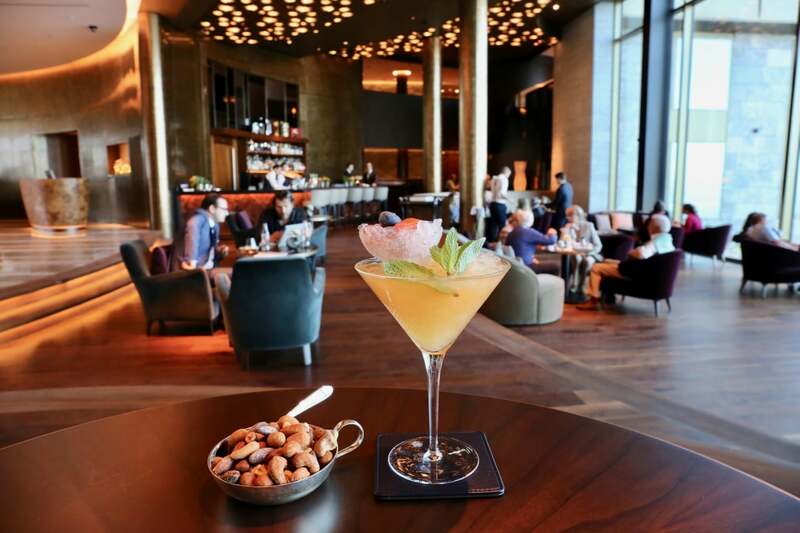 It’s the perfect perch to sip cocktails and people watch. Enjoy heart stopping views while sipping the mixologist’s signature Rum Cobbler which pairs perfectly with a bowl of sweetly spiced roast nuts.